Monochrome photograph of Thomas (Tom) Sutherland and Isabella (Isa) Cameron Sutherland (nee MacKenzie,originally from Gairloch, Wester-Ross-shire, grandparents of teh donor. 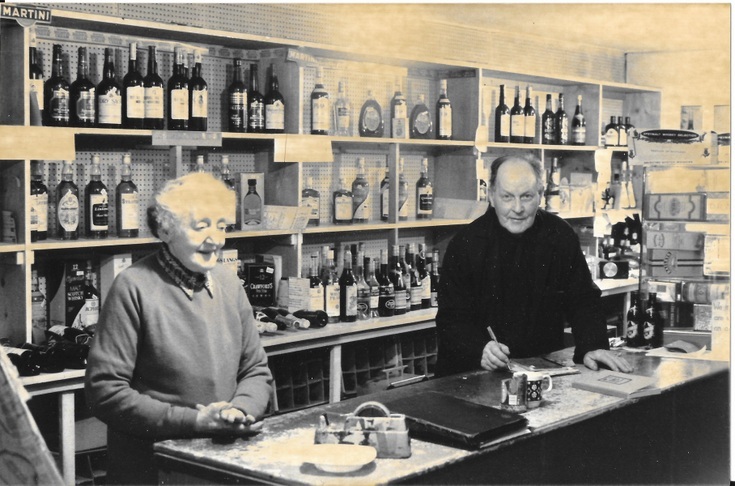 They are shown at the counter of their shopin Castle Street c 1990. ( See picture #10225 a colour image of them standing at the entrance to their shop).